1.Ethernet port allows the Extender to function as a wireless adapter to connect wired devices like Blu-ray players, gaming consoles, DVR and Internet TVs. At the same time, the device can share the wireless network as well. 1. AP Mode (Default): Office, hotel and places where only wired network is available. LAN gaming party, small meeting and other situations where a temporary wireless network is needed. 2. Repeater Mode: Large house, office, warehouse or other spaces where the existing signal is weak. 3. Client Mode: For a Smart TV, Media Player, or game console with an Ethernet port. 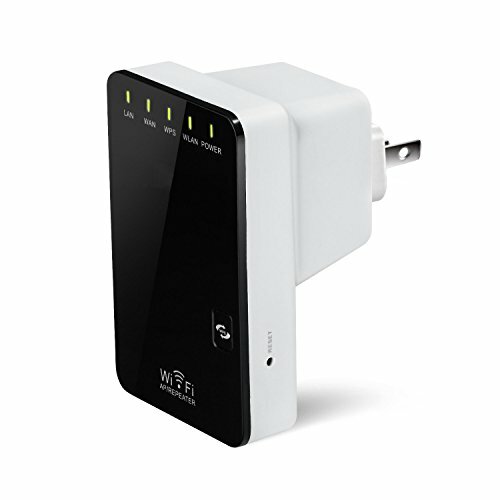 Use the N300 to make your devices Wi-Fi enabled, granting them access to your wireless network. 4. Router Mode: Internet access from DSL or cable modem is available for one user but more users need to share the Internet. 5. Bridge Mode: Small restaurant, shop, bar, home, office and others where Internet service needs to be provided for guests without revealing the password of the existing network for hosts. If you have any questions about this product by XINGDONGCHI, contact us by completing and submitting the form below. If you are looking for a specif part number, please include it with your message.